On Saturday I painted my nails with the other Club Club I have from the Halo Hues collection. And when the sun came out for a bit on Sunday, I rushed out to take a pic. And grabbed the wrong bottle for the shot. The bottle pictured above it Cherubic. But the polish is 2 coats of Harp On It. Isn't it pretty? 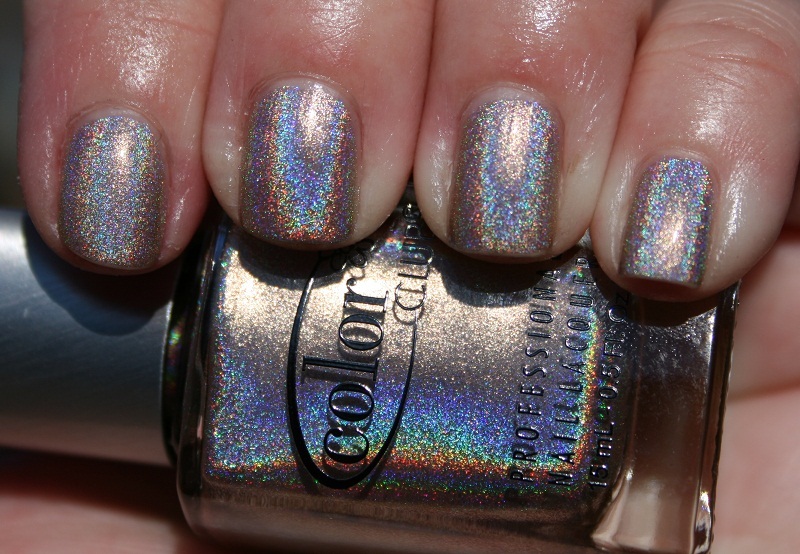 Again,these are no-fuss holos. 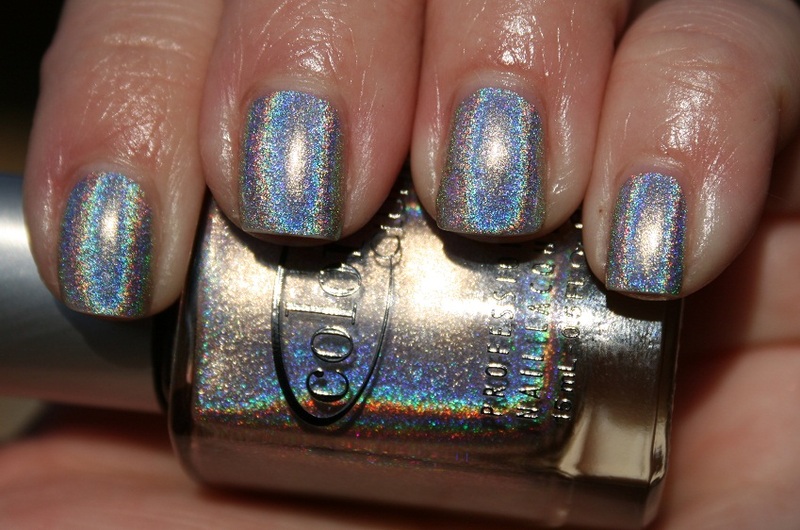 No special base or buffer needed, no special topcoat needed either. For comparison, here's my Cherubic shot. Harp On It is definitely silver-based, and Cherubic is more gold. But they do look quite similar. Yes indeed. Both are really nice! I'm currently wearing Angel Kiss! Yasmin, Angel Kiss looks SO pretty! Steph and Laura- thanks for visiting and for your sweet words!